Looking for an alternative to ACMI? If you can’t go to ACMI why not have Media Studies Roadshow come to you! 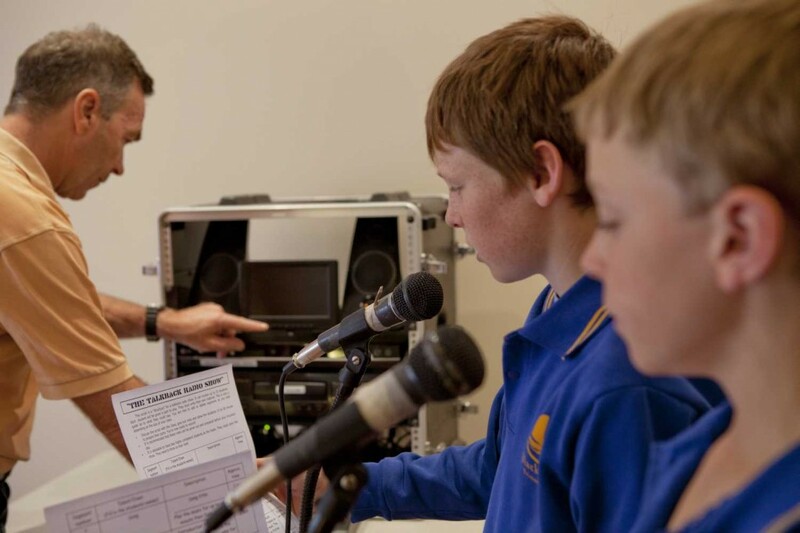 Media Studies Roadshow has been conducting incursions in Melbourne schools since 1997. In that time we have visited more than half of Melbourne’s primary schools and had over 100,000 students participate in our programs. Our studio television system is cutting edge. We utilize the same technology as ACMI to produce live green screen TV. Media Studies Roadshow is also an economical alternative to ACMI. There’s no need for transport costs to ACMI in Federation Square and our programs cost either $10 or $14 per student. You won’t break the excursion budget. We specialize in Green Screen TV production, Film Making Workshops, Radio Production and Animation. Like ACMI, our TV studio allows the audience to watch back-grounds being superimposed live while the program is being recorded. All shows can be played back at the end of the session. Typically, each program has 3 activities that all students will rotate through during the course of the day. All programs comprise of a green screen TV production, a radio production and stop motion animation. You won’t believe what your student will produce in a single day. Take a look at some of the packages we offer. There’s something for everyone. Media Studies Roadshow is conducted by Michael Lawton who has over 30 years experience teaching Media Studies and Media Production in primary and secondary schools and tertiary institutes. For more information, or to speak to Michael about the different possibilities available, please contact us now on m: 0412 006 915.